Who doesn’t love Halloween? Especially a Halloween party! Whether you’re celebrating with family, long-time friends, or if you’re just going solo this year, beware of the nightmares that could soon follow after all the holiday fun. After all, Thanksgiving and Christmas are just around the corner. 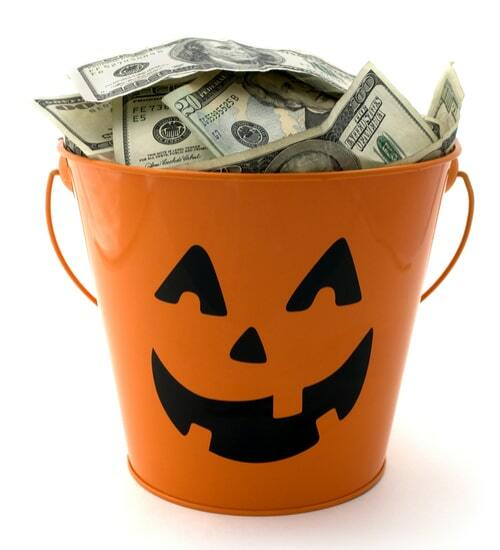 If you don’t want to dig your own financial grave this year, be sure not to ghost any of these following steps to a budget-friendly Halloween! 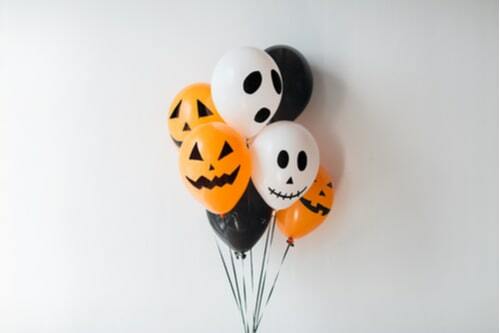 Spooky Balloons: Pick up some orange, black and white balloons and color in some spooky faces on them with a Sharpie. Jack-o’-lantern faces for the orange balloons and ghostly faces for the white balloons. Spiders in a Jar: Tear up some cotton into stringy threads and fill place it into some mason jars. Then, add some small plastic spiders and other creepy crawlers in the jars for a chilling display! Creepy Wreaths: Garnish last year’s Christmas wreath with some spiders, cobwebs and anything black, purple, orange and neon green. Stick a spooky face mask in the center for some extra scare! Ghosts on the Table: Wrap white napkins around a ball and secure the bottom with a rubber band. Draw a little face on the head and display your ghostly friends anywhere you please! Everyone knows that going out means spending money. Halloween events are no different. If your city’s hosting a special Halloween fair this year, you can bet that the scariest part will be the cost of admission, food, and rides. If you don’t want to get stuck searching for “payday loans near me”, it’s best to stay hidden. As mentioned earlier, you could always throw your own Spooktacular at home. Invite friends, family, and the neighbors too! Throwing a party doesn’t have to cost much at all if everyone contributes. 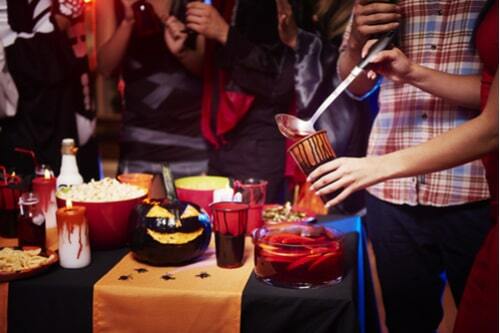 Ask your guests to bring snacks, dishes, drinks, and treats over to help get the party started. Throw up your DIY décor, que up Michael Jackson’s ‘Thriller’ and let the fright fest begin! Read some scary short stories by Stephen King or Edgar Allen Poe. Find a haunted house in your neighborhood. Enjoy a scary movie marathon. Play a fun mystery board game. No matter how you plan to spend Halloween this year, remember to stay frugal. There’s nothing more frightening than looking at the bill after overspending on the celebration!